Fishing on the beautiful Columbia Gorge River is a major attraction for any fisherman. Dave Graybill has fished in this region for over 50 years, earning his screen name as the Fishing Magician. If your wanting to stay informed on the best fishing spots check in regularly with Dave Graybill's AKA the Fishing Magician and his Fishing Report. Read about his fishing experience on Friday, May 8th below. Spring salmon fishing has been keeping anglers busy on the lower Columbia River for some time now. 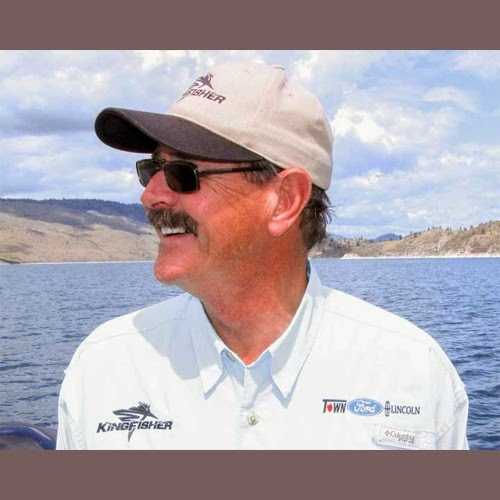 Fishing has been very good this year both below Bonneville Dam and at locations above here, like off the mouth of the Wind River and at Drano Lake. It looks like the return is going to come in at over 200,000 fish, which is a very good run. Seasons have opened on two stretches of the Snake River. There is another area open to spring salmon fishing. The Yakima River is open to fishing for springer salmon through June 15th from the Grant Avenue Bridge in Prosser to below Prosser Dam. Another section of the Yakima, from the I-82 Bridge in Union Gap to below Roza Dam will open May 9th. Please refer to the news release on this season on the Department web site for the details and boundaries of this fishery. I just got word that we may see a spring salmon season on the Wenatchee River this year and the fishing could open on the Icicle River sometime in the third week of May.